Eposeidon Outdoor Adventure, Inc. kicks off a campaign to raise awareness and funds for breast cancer research. Hempstead, Long Island, NY (September 9, 2014) — Eposeidon, Inc.’s KastKing Division, the makers of high quality affordable braided fishing line, has announced a campaign to promote awareness and raise funds for breast cancer research and early detection. 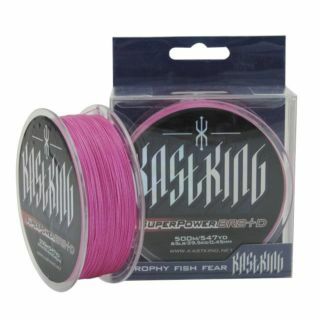 KastKing will donate all net profits from every sale of their KastKing Pink Braided Fishing Line in all sizes through their website http://www.eposeidon.com during the month of October, which is Breast Cancer Awareness Month. Pink is the official color for breast cancer awareness. KastKing’s will track all purchases of their KastKing Pink Braided Fishing Line through their website http://www.eposeidon.com. At the end of October the amount will be donated to fund breast cancer research. The company offers free shipping on orders over $20. KastKing’s program will be promoted through Social Media with a Think Pink Challenge. The campaign slogan is — “The Think Pink Challenge; Reel Men Fish Pink.” Members of Team Eposeidon, the company’s angler support staff, which has male and female members, will publicly challenge at least 3 other anglers to “Spool it with Pink” and encourage them to challenge others either through Youtube or Facebook posts, or both. Eposeidon’s Think Pink Challenge will begin ramping up in September, begin October 1st and run through October 31. Eposeidon wants to encourage men to support the women in their lives with early detection through mammograms and doctor’s visits. Pink fishing line has a practical feature. It becomes “invisible” at relatively shallow depths as pink is in the red spectrum, which is the first color to disappear in the water column. KastKing braided lines are offered in 10 lb. through 150 lb. test.